In 2018, discover a brand new range of Ultra Legend backpacks with our patented bottle carrier system on the shoulder straps. 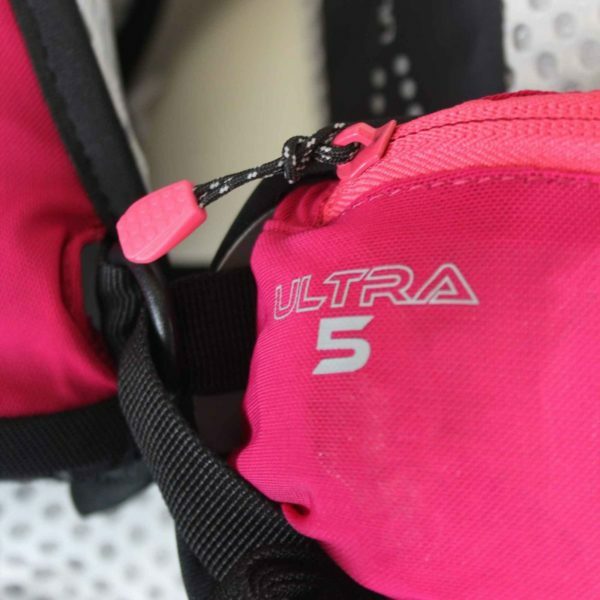 The smallest litrage of this range is the Ultra Legend 5L bag, it will be perfect for your workouts and short trails this season. 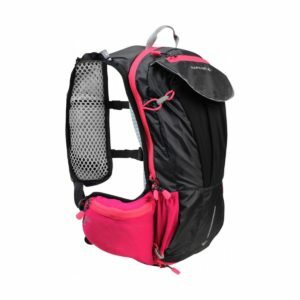 With a “criss cross” tightening system, put this backpack on like a jacket and adjust it to fit as one with your body! 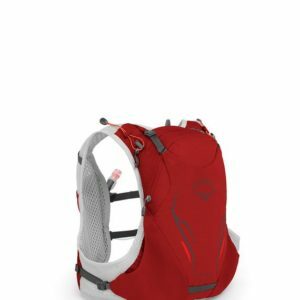 The Ultra Legend 5L has a total of 16 pockets! 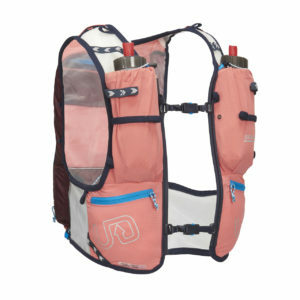 Some in a mesh fabric which will stretch to store all your equipment. 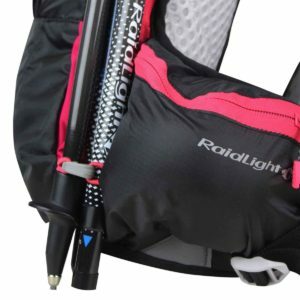 We have left you the choice for carrying your poles: either attach them at the back with an elastic hook or choose to always have them close at hand thanks to the elastic bands on the front bottle holders. 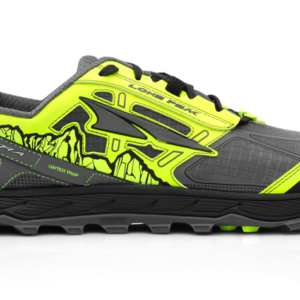 With several reflective prints, you will always be visible. Be reassured during your night outings! 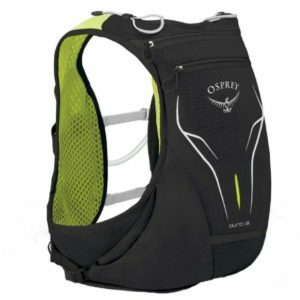 In addition to its patented system of carrying the bottles on the shoulder straps, this trail companion also has a place specially designed for your water pouch. 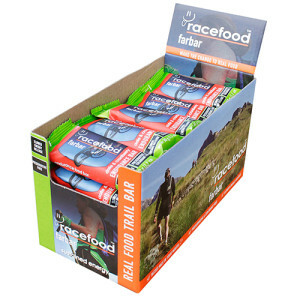 Go with two water bottles and a water bag to diversify your hydration and nutrition! Pole carrying system front or back with a hook. Total capacity of 5 litres. 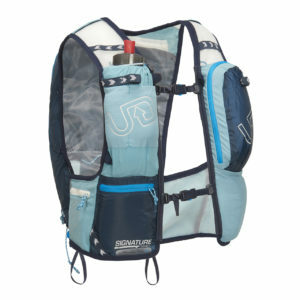 A main compartment compatible with a 1,5L water pouch. 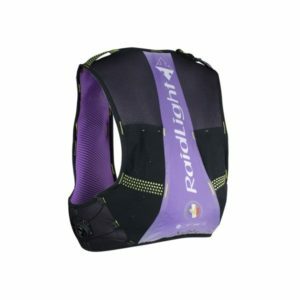 A front mesh pocket, accesable under a velcro fastening. A zipped pocket with a key clip. Two small mesh pockets on the side. A small zipped pocket at the bottom of the back. Two side zipped pockets with one in a stretch fabric. Two stretch fabric pockets on the straps. 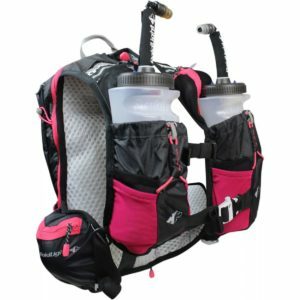 Two bottle holders on the straps. 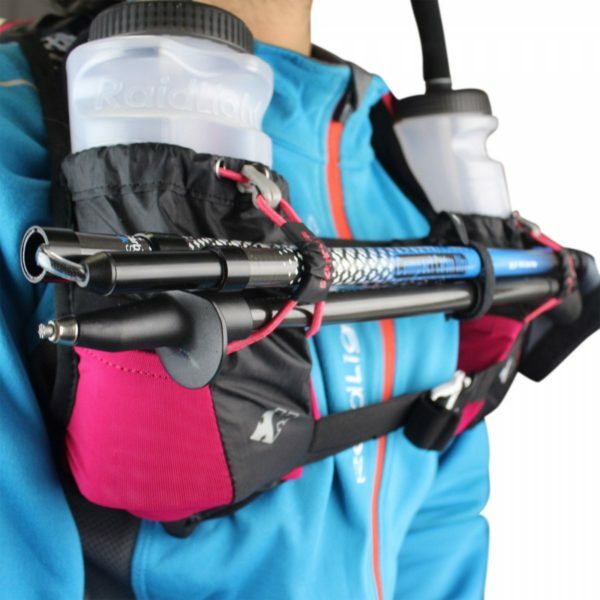 4 pockets on the bottle holders. 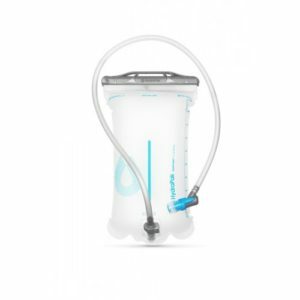 Insulated bladder pocket to help keep fluids cool. Securing system on the straps with elastic to prevent movement. Safety whistle on the chest, within reach of the mouth. New ultraventilated 3D Mesh Air Mesh. Main Fabric : 100% Polyester. Back mesh fabric : 100% Polyester.